The principle objective of this report is to analysis Marketing Plans of Igloo. General objectives of this reports are to give an insight to the ice cream industry, company analysis and the product line, analysis the marketing strategies for Igloo and assess its target consumers and competitors. Here also provide an introduction of the strategic aspects of marketing with particular reference to the analysis of marketing mix and analyze the techniques of segmentation, targeting and positioning of products. Finally analyze the impact of various trends upon its survival and long-term success. 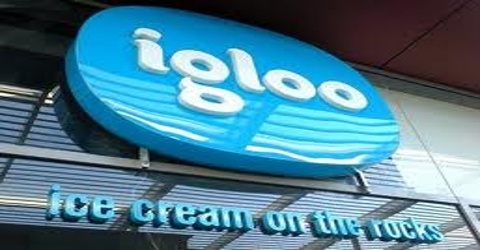 Igloo offers the widest choice of ice cream to its discerning consumers, more than any other competitors in the market. Igloo is offering a total of fifty items, including normal premium to and novelty cup stick to family pack items. Igloo has more flavors than anyone else in the industry and is continuously launching new and innovative delicacies. from the above diagram it can be illustrated that among the numerous varieties that Igloo produces they have their distinctive contribution towards the total sales. Starting with Choc-bar, which contributes 29% of the total sales mainly, comprises of chocobar and mini choc. Both are vanilla flavored and chocolate coated and gives consumers an energetic sensation as they indulge themselves into it. Then, steering our analysis towards Macho, which has a contribution of 5%, has flavorings of vanilla and strawberry ripple accompanied by hazelnut coating and added crispy flakes to accentuate its taste further. Once, customer dips into it they simply say… “Exquisite”. As we turn toward Cornelli, it comprises of two item Cornelli 2-in-1 and Cornelli Classic. The first one gives a dual taste of vanilla and strawberry while the later has an exquisite taste of vanilla with chocolate nuts sprinkled on top. From the analysis it can be seen that they have a joint contribution of 5% of total sales. Not to forget the widely acclaimed Mega which is vanilla flavored with white chocolate coating and simply energizes the consumers with its taste and occupying a share of 8%. Also there is the pure vanilla cup that gives consumers an impulsive feeling and holds a share of 14%. Last but not the least is the newly introduced Kulfi which has its popularity especially among the young mass comprises of a share of 4%. The rest 35% consists of other varied delicacies that Igloo has so far launched in its product line. Abdul Monem Limited (AML) first emerged as a building and construction house in 1956. Since their inception the company invested heavily in equipment, machinery, technology and in staffing with qualified technical personnel and associates, to deliver the highest quality work and has successfully completed many construction projects of different agencies, including projects financed by the World Bank, International Development Agency (IDA) and Asian Development Bank (ADB). AML quests for the service excellence derived from quality work and timely completion of projects. To accomplish this, the unit is heavily equipped with the world’s best equipment for civil works and its major suppliers are: Caterpillar, Komatsu, John Deer, Ingersol, Furukawa, Vibro, Kawasaki, Bedford, Nissan, and others. Started as a Construction Contractor and later diversified to the food sector, AML proudly represents brands like Coco-Cola, Igloo, AmoMilk and Danone that are the milestones to their quest to provide the best quality products to thousands of consumers. AML is the authorized bottler for Coco-Cola, Fanta and Sprite. AML started its bottling operation by acquiring the plant of the K. Rahman and Company in 1982. In 1987 the company made an aggressive move to expand the market by establishing a new bottling plant at 450 bottles per minute (BPM) capacity at Comilla. In 1997 the company established another bottling plant in Chittagong. In 1996, AML Trading and Distribution unit was formed to promote the trading distribution business with other countries. The unit commenced its operation by marketing Danone Biscuits and Evian Natural Water of Danone International Brands. In 1997, the milk unit introduced Ghee at the market naming Igloo Ghee. The product immediately gained consumers’ acceptance and popularity, as it is prepared from the fresh milk without using any preservatives or additives. In June 1998 the company added Ballantyne Butter from Australia and Igloo Juice of Lemonade and Mango flavor in its line of products. In 1999, the company entered a packaging contract with the Ballantyne Foods Pvt. Limited of Australia for marketing “Igloo Butter”. In 1990 the company was awarded the President’s Turtle Award by the president of The Coco-Cola Company in recognition of its contribution to positioning the brand. Because of its remarkable track record, the Company has recently been awarded the total Operation and Maintenance work of the Jamuna Multi Purpose Bridge for 5 years. Today, in the constantly growing and ever changing world of trade and technology, Abdul Monem Limited has a new challenge, the challenge to remain competitive with the leading edge technologies as well as products and services. The world market for ice cream has been catering to the varied taste of consumers. Hence Igloo has maintained a strong position in the market of the Bangladeshi customers. This is partly because nowadays ice cream has become very popular and an integral part of the culture. Igloo, one of the prime products of Abdul Monem Limited, is the country’s most preferred ice cream. It is the pioneer ice cream brand in Bangladesh, having started its operation in 1964 in Chittagong. Later, with the expansion of the market, a new state-of-the –art factory, with the most modern equipment, was established in Shampur Industrial area, in Dhaka, to cater to the market demand. Presently AML uses straight-line technology for manufacturing premium ice cream. Actually, the company is the first in South East Asia to introduce this technology. The facility is producing nearly 20,000 liters of ice cream each day that is distributed throughout the country. AML- ice cream is committed to maintaining the highest quality standard, through its continuous R&D activities. The major ingredients, raw materials and the packing materials are procured from the best European sources. Strict quality control is done at every stage of the manufacturing process, from procurement of material, mixing, material flow, ice cream making, packaging, storing (at main warehouse), distributing and market shelving by the Quality Control Department. Igloo is the pioneer in providing ice cream with fresh taste and modern packaging. At present Igloo’s long product line comprises of fifty items. It has captured the minds of consumers in the local market and is considered to be the market leader in the ice cream industry. Amid intense competition in the ice cream industry, Igloo holds a major share of the market by differentiating its products in terms of price, taste, flavor and quality. No one business is large or powerful enough to create major change in the external environment. These factors are generally uncontrollable, thus market managers are basically adapters rather than agents of change. So it is vital for Igloo to take these factors into consideration in every step of their decision -making process and day-to-day activities. Igloo’s task environment consists of those micro groups in the environment such as suppliers, distributors, customers and competitors. These are interrelated groups that influence managers on a daily basis. Suppliers of Igloo provides for items ranging simple nuts coatings, and other basic raw materials to high tech ice cream processing machines. Almost all ingredients are supplied by foreign suppliers. The main ingredients such as milk powder, nuts, chocolates, sticks, tetra packs, various essences and flavors are imported from Australia, New Zealand, UAE and Dubai. Machines are imported from Denmark, Italy and Switzerland. An important note on suppliers is made here by the Igloo’s Marketing Manager. According to him, local suppliers are far less reliable than foreign suppliers both in terms of quality of goods and the kind of services they provide. Foreign suppliers are more reliable, professional and devoted to commitments. Such is its faith on foreign suppliers that Igloo imports all items though it is time consuming and there are costly import related formalities. The main function of the distribution unit of Igloo is to create a sequence of effective network so that an important strategic edge over competing channels are created and ensure a continuous flow of its products to the ultimate consumers – target market. The activation of the distribution channels proceeds from their factory at Shampur in Dhaka and ends at the retail outlets stretched all over the country with a long fleet of refrigerated vans. After production, ice cream products are stored at the central warehouse of the factory at a temperature between –30 0 degree to -350 centigrade where it is stored in a Store Keeping Unit (SKU) and from there they are distributed through three effective distribution systems – Direct Distribution System (DDS), Redistribution System (RDS) or Super Distribution System (SDS). Direct Distribution System uses Freezer On Wheeler (FOW) to distribute the products to the different operational centers. FOW consists of large refrigerated vans with temperature under –200 centigrade and strict regularity is maintained to ensure proper temperature levels so as not to cause any deterioration in the quality of ice cream. DDS is applicable mainly for city areas, and roads where one can easily access the retail shops by means of FOW. The DDS network is spread over six regions of the country. In Dhaka, Gulshan, Banani, Dhanmondi, Uttara, Baily Road, Mirpur Road, and some areas of Mohammadpur falls under the DDS network. In these areas FOW supplies the retailers with the required lot. Each retail shop has their own Dealer Record Cards (DRC) through which they are graded as A plus, B plus, C plus retailers and through which they assess whether to provide cash discounts, volume incentives scheme or some other means of discounts. Moreover, Igloo provides retail shops with attractive deep freezers containing logo of different ice cream so as to ensure proper storage and display of the products. Chittagong covers south and southwest parts of the country and due to its status as national’s business capital, Igloo puts high emphasis in distributing its products to some of the retail outlets through DDS. In Rajshahi, Barishal, Khulna, Comilla, Chittagong, Igloo uses the DDS system only just to take its products to the different depot of the regions where Igloo has their warehouse. Every sales officers of the warehouse covers a number of areas, distribute the goods themselves to the distributors. Distributors are given a 5% commission as sales incentives to take the goods to the shop on behalf of Igloo. Igloo also operates through the trolleys popularly known as tun tuni vans, which uses RDS for extending its reach to consumers at the furthest points. The trolleys are operated near schools, alleys, parks etc. and play rhythmic music to attract the consumers. These are very colorfully decorated with Igloo umbrella and the pullers wear specific uniforms. Igloo is the first to introduce and operate these trolleys in Bangladesh for any Fast Moving Consumer Goods (FMCG). Igloo has ninety- five trolleys. Moreover trolleys are used for places where FOW is unable to operate. Within Dhaka, Igloo provides RDS facilities in Old Town, Zikatola, Badda, Nakhalpara, Khilgaon, and some areas of Mohammadpur and Uttara. In Old Town they have nine RDS points. RDS is also used in Khulna, Rajshahi and in some other areas where DDS cannot enter. In Sylhet, a self-created concept known as Super Distribution System (SDS) is put into practice. In this system, the super distributor holds the title of the product and is given the sole responsibility of selling only Igloo’s products. Super distributors are given a 7% commission and they distribute products to retailer and wholesalers on their own accord. Being the major source of survival and profit, customers form the most important component for an organization like Igloo. Igloo considers customers as being their life-blood of survival and is taking the maximum innovative efforts that can be utilized for utmost customer’s satisfaction. Customers here can be segmented to family, kids, teenagers of high end, mid end and low end of the market. Changes in the number and type of customers’ results in a dimension of opportunities and threats. Igloo operating in such ever-changing world of tastes and preference pays heed to customers’ choices and their attitudes. They, very keenly take on customers’ advice, try and amend as well as add new dimension to their business in order to ensure survival in this highly competitive industry. Economic, technological, socio cultural, demographic, political and legal, and global forces form the macro economic environment that Igloo operates in. Economic forces are of concern to businesses involves producing goods and services that people want and pay for, as because the economy is an Indicator of the general health and well being of a nation. Igloo takes into account various economic factors, preferably the rates of inflation, the exchange rate and level of income. The prime reason for such is to have a control over its allocated budget for domestic and imported raw materials, but most importantly alertness of economic variables are necessary to determine Igloo’s pricing strategy so that all segments of the population can afford to buy their products. One of the most pervasive factors in the environment, the impact of technology is seen as the combination of skills and equipment’s that marketers use in their day-to-day operations. In Igloo, use of technology can be seen in terms of the automated cone baking machines, chocolate making machines, injected deep freezers, milk processing machines and others. These innovate machines are able to produce ice creams at a faster rate while not undergoing any sacrifice in the level of quality, and thus their warehouse has capacities in thousand liters. The socio cultural environment is made of institutions and other forces that affect social values, perceptions, preferences and behavior. In the context of a predominantly Muslim country like Bangladesh, Igloo has customized its services according to the country’s culture. While the producing ice cream, Igloo puts strong emphasis in seeing that no ‘haram’ ingredients are used. The demographic forces are of interest to marketing managers because it involves people and people make up the markets. Demography shows the populations inclinations towards certain social structure and the increase or decrease in certain age groups .For Igloo demographic factors are of advantage if it shows an increase in the number children and teenage population (the most lucrative segment for the ice cream industry). The formation, maintenance and survival of any organization is dependent on the stability of a country’s political and legal system. A comprehensive analysis of the political and legal factors by Igloo helps in ensuring stability in terms of its operations. The legal consideration lies in the awareness of various laws regarding import of raw materials and the like. in Bangladesh, Igloo has firmly incorporated its credibility and is far ahead of its other counterparts in terms of creating values and availability of a wide range of exclusive items and flavors. In terms of globalization, Igloo has already gone for international expansion with its focus mainly concentrating now in Calcutta and North Eastern states of India. However, Calcutta now being the prime target has fifteen branded companies namely Walt, The Big Ones, and Metro Dairy and so on which Igloo now considers as its prime global competitors. It is therefore trying to create a solid base in the international arena through brand loyalty, acquiring huge finance and making its business and its resources parallel and adaptable to survive in ardently competitive international market. Igloo has designed various marketing mixes according to the different products needs and preferences with regard to the consumer market and has clustered people with similar needs into selected segments namely domestic and international. For a consumer-oriented company like Igloo, whose main operations rallies around the domestic market, a lion’s share of its resources is devoted towards serving the domestic consumer segments. After thorough analysis, behavior and demographic segments have been identified as their prime areas of focus. From the viewpoint of an ice cream manufacturing company, demographic segmentation holds importance in terms of its close relation to customer product needs and purchasing behavior and the ready measurability of variables such as consumers’ age and life cycle and their income. Since its inception in 1964, Igloo focused solely on the domestic market. Now thirty-seven years after its pioneering venture as an ice cream brand, Igloo has engaged itself in fulfilling the demands of international market. Expansion to such a degree has been made possible due to the steering of company profits to record levels, gaining wide range marketing experience and the usage of the state-of-the-art-technologies with standardized maintenance of quality. After extensive analysis, Igloo has decided to enter India mainly due to the ease of marketing and the similarity in cultures of both countries. They have geographically segmented this market into Delhi, Kolkata, Malda, Mumbai, Jaipur, and Bangalore. The kind of market Igloo operates in is characterized by the volatility of its general environment, the dynamism of its competitors and most of all the varying and the inconsistency of needs and buying preferences of the consumers market, which are important consideration guiding their day to day operations. Keeping this in mind, Igloo has developed sound marketing programs, which starts with identifying the differences that exists within a market, deciding which segments will be selected and developing specific marketing mixes so as to influence intended customers, and overall perception of the brand, Igloo. This is the most important component of demographic segmentation. Over the years, ice creams were considered to as being more of a recreational product, but standing on this new century, the effect of globalization has placed ice cream as more of a regularity in our lives. Igloo has divided its markets in segments according to different age groups such as kids, teenagers, and the family range. Different ages of people are influenced by different flavors of ice cream, different presentations of packaging and different product attributes. Kids incline more towards ice creams, which contains animated and colorful packaging, taste of sweet strawberry, fresh mango, pure vanilla, ripples, hazzle nut coating and crispy flakes. Teenagers prefer low calorie ice cream, more daring and wider range of tastes. Families are influenced more by ice creams that fulfill the general appeal and taste of all the members of the family. Income is the key determinant of consumers buying behavior. It is the most popular demographic variable for market segmentation. For a larger part of the population to buy the product, it is very important to segment the market in different income groups. This is given utmost importance in Bangladesh where there is wide variation in the average levels of income. Igloo has divided the market into three income groups – low-income group, mid-income group and high-income groups. After market segmentation, Igloo goes for designing, implementing and maintaining marketing mixes intended to meet the needs of the target groups, resulting in mutually satisfying exchanges. The two general strategies Igloo uses for selecting target markets are differentiated and undifferentiated marketing. In light of Igloo’s marketing approaches, differentiated marketing can be seen in light of their division of two very well defined market segments, namely, kids and family. For the kids of medium and high end of the market, the main target product categories includes clown – vanilla, chocolate and strawberry ball gum, snowball- vanilla flavored, panda (which resembles a panda), cups such as strawberry, vanilla, and mango. For kids at the low end of the market, delicacies offered are lolly – with orange and lemon flavors and snow ball (which after eating can be used as a ball for playing). Igloo has wonderfully attractive, colorful and animated packaging and ice creams that take the form of Disney characters for the kids of all income groups. For the integrated and the lucrative segment called family, ice cream includes containers- coffee, ripple, tutti fruiti and others, which mainly targets high-income earners. For families at the mid end of the market, Igloo offers 1 and 2 liters plain box ice creams. Sticks products such as Mega (Premium Product), Macho, Shell & Core, Cornelli Cones and ripple cakes- vanilla, chocolate and ripple, Shahi Kulfi –vanilla with nuts are all for mid and high end of the market. For high end of the market, Igloo provides consumers with parlors where they are thirty-five different flavors from which hundred different sundaes can be made. An undifferentiated target strategy approaches the segment as one big market with no individual segments and thus requires a single marketing mix. Chocobar and the newly introduced Kulfi are the prime examples related to successful targeting of the mass market. Chocobar priced at TK 12/-, mini chocobar priced at TK 10/- and Kulfi priced at TK 5/- with sober colored packages enables Igloo to go for mass marketing. After careful analysis, Igloo has segmented its foreign market and has targeted Calcutta, North Eastern State of India and Agortola to be their areas of focus. These areas constitute of people with similar cultures and income level and where it is easier to promote the products of Igloo. Positioning refers to developing a specific marketing mix to influence potential customers overall perception of a brand, product line or organization. The marketing manager of Igloo assumes a realistic view of how customers think about their offerings in the market. At the same time, the manger also knows how he wants target customers to think about its marketing mix. According to him positioning issues are especially important when competitors in a market appear to be very similar, with the ice cream industry being a prime example. Igloo follows several positioning strategies. Usually consumers perceive ice cream as an integral part of summer. Igloo aims at positioning ice creams to as being a winter item along with its regular summer item image. Igloo is trying to position its ice cream as a item for all seasons in other parts of the country like that is perceived in Dhaka, through different promotional activities. Against a competitor: Several of Igloo products such as Kulfi, Chocobar, Cups and box are positioned against similar products of other competitors such as Kwality, Polar and Savoy. 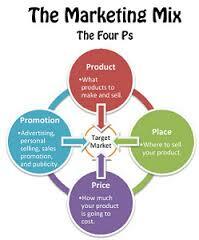 In the above diagram the customer is shown surrounded by the four P’s. An important point to note is the customer should be the target of all marketing efforts but it is not the part of the marketing mix. Hence, Igloo follows this concept and places its customers in the center. The customer “C” stands for some specific customers – the target market of Igloo. Therefore, Igloo creatively blends and develops the best mix for its target market. In other words, each decision works well with all the others to make a logical whole and now we will turn our synopsis to each of the components. At what price consumers would like to buy the product. Flavors and essence to be used. Igloo’s Product line includes distinctive ingredients, as some are vanilla flavor with chocolate hazelnut or milk coating, some may have crispy flakes, others include Pista nut. On the other hand, to provide a taste of refreshment there are flavors including coffee, strawberry, mango, with almonds and ripples. Each of these delicacies has positioned itself as a unique brand in consumer’s mind. As a result reckoning any of its names immediately strikes the consumer with its idiosyncratic savor, which he identifies through words as- Superb, Cloying, Mouth-watering, Refreshing, Exquisite, Energetic, Puissance, Animating!!! These eclectic tastes have been able to exceed consumer’s expectations resulting to delightful consumers and thus to the creation of a powerful company image. Price is what the buyer wants to give up obtaining the product. It is often the flexible of the four marketing mix elements – the quickest element to change. Igloo in setting its price considers the kind of competition in the target market as well as the cost of the whole marketing mix. It has developed a wide range of prices for its various segments. This includes a range starting from TK 5/- to TK 25/- for cups and sticks, TK 45/- to TK 200/- for family pack items as depicted in the table below. Need to say Igloo’s parlor, which extensively caters to the taste of the upper income consumers, has a price range of TK 75/- to TK 500/-. Place is concerned with all the decisions involved in getting the right product to the target market. A product isn’t much good to a customer if it isn’t available when and where it’s wanted. Hence, through implementing a channel of distribution, Igloo makes it product available to the final consumers. The distribution network is stretched all over the country with a long fleet of refrigerated vans. Firstly, the ice cream products are stored at the central warehouse of the factory, and from there they are distributed through the haulage vehicle to the following operational centers. Dhaka : Covering the Dhaka and adjacent sub-base markets. Chittagong : Covers the South and South West part of the country. Comilla : Covers the Western part of the country. Khulna : South and South East part of the country. Rajshahi : Northern part of the country. Apart from that Igloo also operates through ninety-five trolleys for extending its reach to various consumers at different locations as schools, alleys, streets, parks e.t.c. Also shopping malls as One Stop Mall in Rapa plaza, Agora in Rifles Square, Stop and Shop as well as departmental stores as Yusuf, Needs, Almas contains Igloo’s freezers. Its network also covers lanes and by lanes through appointing local distributors and dedicated sales teams to accompany their freezers. Promotion is concerned with telling the target market about the product that has been designed for them through a proper channel, which includes personal selling, advertising, sales promotion and public relations. Trade partners and retailers – Bulk purchases are rewarded through volume incentive scheme such as cash discounts or a few liters of free purchase. Consumers – Availability of scratch cards through purchase of certain flavored ice creams enables consumers to obtain different types of gifts such as CD player, radio, television e.t.c. Also last year (2001) every purchase of Macho had a Kit Kat free. Social Occasions – Even specific promotions are developed for Eid, Christmas, Friendship, Valentine and other occasions. For example this year the parlor had a package for 14th February which included a couple buying TK 200/- worth of ice creams would get a free cassette of love songs. Also during the Eid time the prices of most of the ice creams are reduced to a certain level in the retail outlets. Planning is very crucial for an organization as it gives them direction of where they are headed for. It reduces uncertainty by forcing marketers to look ahead, by anticipating changes and by considering the impact of change and by developing appropriate responses. Furthermore, planning minimizes wastage, and can set standards in controlling. Igloo is managed by developing three levels of plans – the short-term, medium-term, and long-term plans. To become one of the market leaders in the ice-cream industry. To expand its business domestically and internationally. To ensure long-term existence by being profitable, successful and sustainable. To make a worthwhile contribution to progress of the nation. To increase the number of Igloo parlor in targeted prospective areas. To provide the best services and highest quality products. To respond effectively to the market demand. To survive in the market by increasing profitability and growth. To gain competitive advantage and to increase market share. Moreover for ensuring the fulfillment of the overall company strategy, it focuses on a wide range of facilities in order to motivate employees, distributors and retailers to increase their performance. To introduce a more innovative range of ice cream. To achieve responsiveness to the changing taste buds of the consumers crucial for survival in a highly competitive market. To maintain their current level of profitability and efficiency. To import quality raw materials from abroad. To keep stocks of raw material so as not to hinder production. Marketing research is a systematic inquiry into the happenings of the market place, just as astronomy is a systematic investigation of the stars and planets. Both use step-by-step approaches to gaining knowledge. For Igloo, the marketing research is conducted by a research company named OMR MARG Quest Ltd and according to the information obtained this company uses various research methods for each of the targeted segments. What actually instigate the consumers to buy these ice creams? How do the consumers perceive each of the branded products? What new Flavors can be introduced? What are the prospective segments and the appropriate prices to be charged for each of them? After sorting these questions the company undertakes the final task, of which research methods to be used which for them comprises of both the primary and secondary research. Through extensive survey research the company analyzed that Igloo could introduce a low priced item to gain a mass appeal. That is where inception of kulfi occurred starting from school children to even the older generations, this item has won their hearts both in terms of its low price but also a superior quality and taste. The company has also noticed that none of the other ice cream companies in the industry had an item that supplemented to the taste of each family members at a time that is when they introduced the item “ Family Pack”, which includes a combination of Mega, Clown, Cornelli Classic, Cornelli 2-in-1, Eskimo, Shahi Kulfi, Choc bar, Shell & Core, Cola – Rola, Lemon loly, Orange loly and Snowball. This pack can be used for various occasions as children’s party and family get together. Through means of the research it was first identified that Igloo was only providing ice creams through its retail outlets and hence maintain a reasonable price. It is at this time that the idea of opening a parlor came into mind and the project was then undertaken. In choosing the location the research company considered various factors such as the number of universities and offices prevailing in the prospective location, the number of shopping complexes as well as the income of the people in that area. Finally measuring the accessibility of the place the parlor is now situated in Kamal Attaturk road, Mirpur, etc. which caters to students, office goers, family with its superior quality and congenial environment. The research company has also formulated questionnaires to execute a consumer survey in finding out the prospects of increasing the number of parlors in future. This questionnaire is also designed to find out whether the consumers are satisfied with the current quality of the items, quality of the service, their tastes as well as what new items and flavors they prefer in future. By means of house-to-house sampling assisted by this company, it has enabled Igloo to have more flavors than anyone else in the industry and still continuously launching new and innovative delicacies. Needless to say marketing research has been an effective tool for Igloo in defining its problems and identifying what information is required to solve the problems, designing the method for collecting information, managing and implementing the collection of data, and analyzing the results and communicating the findings and their implications. The advertising target often includes everyone in the firms target market and thus the ability to communicate to a large number of people at once is the major benefit of advertising. Igloo mainly focuses on the outdoor media which includes banners, papered posters, danglers, painted displays, billboards, neon signs as its creative channels to convey its message to its target markets which contributes 65% of the total advertising expense. Igloo uses different channels of outdoor media in attracting its various segments. An extensive application of wall postering was seen in its newly introduced item Kulfi for the mass level. Newspaper coverage comprises of a 17% share of the total publicity expenses, which includes advertisement displayed in papers such as Daily Star, Prothom Alo, Bhorer Kakoj, Jonokantha and Ittefaq. Magazines contribution to the media expenses amount to 10%, while TV commercials where Adcom, their advertising agency, has a contribution of 5%. Also need to note that ads on specific themes are created for special occasions. Igloo has especially used TV commercial to attract its upper income segments when introducing Macho in its product line. Igloo, like any other company, in order to maintain a stable growth rate, focuses on reviewing the existing operations, the evaluations and the creation of the new products by not only manufacturing the highest quality products but also delivering the product by maintaining this high quality. In seeking growth, Igloo considers both its market and its products. It then decides whether to continue what it is doing – only do it better – or establish new venture. The product/market growth matrix depicts this option for Igloo. The matrix is divided into four possible combinations of old and new products with old and new markets. Here, Igloo tries to sell more of its present products to its present markets by the help of supporting tactics, which might include spending on price, promotion and packaging. For example, Igloo regularly alters its ice cream packaging, and provide occasion oriented price cut. Igloo’s market development strategy is evident by its entry to an entirely new geographic area – India. Igloo exports ice cream in Calcutta, North Eastern State of India and Agortola. In future, Igloo plans to expand in other parts of India, Burma, and are undergoing business consultancy of possible expansions in Dubai and Singapore. Nothing is more important to a company’s long-term survival and growth then the successful introduction of new products. By flipping through Igloo’s book of achievements, it is evident that one of prime reasons for success has been due to constant introduction of new products. The exquisite Macho, energetic Mega, which hit the markets around two years back, were and are a real feast for ice cream lovers. The very recently introduced Kulfi has once again placed Igloo to as being a people’s brand providing a world of great taste, and which deciphers Igloo’s drive to maintain satisfaction of all segments of the market. Igloo has, for the time being confined itself only to the ice cream business. Any diversification related businesses would be future-wise. The structure of an organization is similar to the anatomy of a living organism. Just as the anatomy acts as a framework within which the dynamic activity and processes of people doing work takes place, the idea of an organization structure comprehends similar notions. It focuses on the differentiation of positions, formulation of rules and procedures and prescriptions of authority. Hence, the need of a stable, understandable framework within which members can work together towards organization goals involves some basic organizing functions. In Igloo, the organizational structure is given a lot of weight. Igloo has developed an effective structure that facilitates their accomplishment. Igloo follows a functional structure, which is composed of all the departments required by Igloo from production to the distribution of its products to the final consumers. In Igloo, Mr. Abdul Monem is the founder of the Company and empowered CEO of the Group. Under him is the General Manager who is responsible for all the different functional departments of the company. The General Manager is in charge of all the functional departments – Marketing and Production Factory. These departments work separately but report to the general manager, who sees that all departments are achieving their goals and are also fulfilling the entire goals of Igloo. Under him are the Marketing and the Production Factory Departments. The Marketing Manager, who reports to the General Manager, is in charge of all the different marketing activities of Igloo. Under him are the National Sales Manager (who is in charge of the taking the products from the warehouses to the different retail outlets), the Brand Manager (who is responsible for designing the packaging and directing the entire marketing program for a given products or group of products) and the Functional Manager who is responsible for the other department such as Accounting and Finance. There are seven Regional Managers under national Sales Manager who are in charge of the different regions those being Dhaka, Chittagong, Barishal, Khulna, Rajshahi, Comilla, and Sylhet, The different sales officers and sales epresentatives are under the different regional managers. Under the Brand Manager is the Brand Officer who helps the brand manager in designing products and packaging. Another department is the factory production, which is primarily responsible for the production of the products. The Deputy General Manager works under him and sees that all the different sub departments are in line with other departments and help them if any problems arise. Under him, are the Production Manager, the Quality Control Department, the Inflow Supervisor, the Technical Department and the Research and Development. SWOT is the planning exercise used by Igloo, which provides a framework for identifying internal strengths and weakness and the external opportunities and threats it faces. body with most of its managers holding foreign business degrees including Mr. A S M Mainuddin Monem who is a Harvard Graduate. Apart from that it possess a highly dedicated workforce, which enables the business to maintain operational excellence. Manufacturing Capacity : 20,000 liters countrywide per day. Warehouse No : 6 Nos. Technology : Straight line technology used for manufacturing Premium ice creams. Chocolate Making : Macentyre, UK. Te major weaknesses of Igloo comprises of Incurrence of high-level expenses in the Research and Development(R&D) sector. High operating and maintenance expenses resulting from the large size of the business. Excessive reliance on foreign suppliers. Expanding into foreign markets – To a certain extent Igloo is taking advantage of this opportunity by having been recently started its exports, which currently involves Calcutta and the North Eastern States of India. Entering new related businesses – This is also visible through its items as Amo milk, Igloo Ghee and Igloo Butter. Increase in domestic competition – Threats can come in the form of competitors, but according to Igloo, they do not view other ice cream companies as their competitors but as mere counterparts. This might result if there is an increased awareness among the health conscious people, which may cause a decline in the purchase of ice cream. Rise in new or substitute products. In spite of Igloo’s remarkable success certain loopholes in the marketing aspects has been detected. After our research we came up with some possible steps and solutions that we would like to state below. Competitors are an important component of the task environment. Igloo should pay heed to its potential competitors rather than treating them as mere counterparts. Igloo should involve in backward vertical integration to lower the costs of value creation and lessen its reliance on foreign suppliers. For instance, incidence such as 11th September may hinder the flow of supplies in the production process when there is excessive dependence on foreign inputs. Igloo till now has been able to sustain its position as a market leader even though it has reached its maturity stage. However, with the growing demand for Polar, Savoy, Kwality and other ice cream companies, Igloo should undertake extensive advertising through increased media coverage in the television. To enhance the maturity level, Igloo should undertake the task of sponsoring more social events such as concerts, cricket, football and other such tournaments to retain its popularity in the younger market segments. Emphasize should be given on TV commercials, to capture a greater share of the market. A proper customer help line should be developed to mitigate the further needs of the customer. For a consumer-oriented company like Igloo, whose main operations rallies around the domestic market, a lion’s share of its resources is devoted towards serving the domestic consumer segments where segments are identified on basis of age and income. For most of its products Igloo uses differentiated marketing, developing different marketing mix for varied groups of consumers while for few products like Kulfi and chocbar are aimed for its entire buyers. Problems were faced during the interview, as the managers were reluctant to disclose some of the confidential aspects of the organization. All the data obtained were not always reliable and hence subject to error. Due to the time constraints we could not complete a comprehensive investigation and there were some areas that were left unexplored. In many occasions managers were hesitant to cooperate in providing honest answers. From an extensive marketing analysis of the ideas and marketing concepts at work in the operation of Igloo, it is possible to obtain an insight to the essential marketing practices adopted by the company. Adherence to proper marketing strategies in terms of company objectives, paying heed to target consumers and potential and existing competitors, close relationship and liaison with distributors and suppliers ensure substantial market capitalization as indicated by Igloo’s market share of 63% in the ice cream industry. Evidently by virtue of its unique product attributes, high quality, exquisite and mouth- watering varieties of ice creams, attractive and distinct packaging, Igloo has been able to ensure marketing excellence and enhance its competitiveness. Today’s fiercely competitive environment compels Igloo to pursue the right set of pricing strategies, policies for effective segmentation and targeting, market oriented structures of distribution and retailing, which lies at the heart of the companies success. Moreover, with a view to achieving wide distribution network, it operates a system of RDS, DDS, SDS, maintains depots and warehouses to achieve a relentless effort to maintain its sales and distribution flow enables the company to achieve its desired goals. In its quest to create satisfying customer relationship and optimizing the performance of the entire system, Igloo has resorted to a system of timely distribution. With the combination of effective promotional campaign and advertisement in various media, it is able to retain valuable customers and inform them about multiple brands they are offering at present. They had long experience in accomplishing this in the past and they are sure that they will be able to meet the challenge in the future too. This report basically focuses on the marketing aspects of Igloo and tries to give an analysis of Igloo in terms of the industry, the market and the marketing mix of the products itself. The report gives an overall view of Igloo ice cream and focuses in details on the different varieties catering to the distinctive taste buds of the respective consumers. Moreover, since Igloo’s coverage comprises of the entire country, the report will mainly concentrate on Dhaka city as the area of study. We will also explore critically its immediate environment, the various segmentations and the marketing strategies involved in positioning itself as the pioneer in the ice cream industry. This will also enable us to monitor the performance and come out with relevant and feasible suggestions for the effective operations of the company.